The blog has been quiet of late due to some flood damage at my house from Irene. We've made a lot of headway since the flood and have started putting things back to rights after drying out, but there is still plenty more to do. So it will continue to be slower around here until October when we expect our lives to normalize. There will still be new articles, guest posts, and I've been holding on to some covers. Also, I've been working on a new interview that is turning out wonderfully. I just have to get around to writing the last few questions and it should be good to go. All the troubles haven't meant new books don't still enter the house, although boxing of some books has begun. 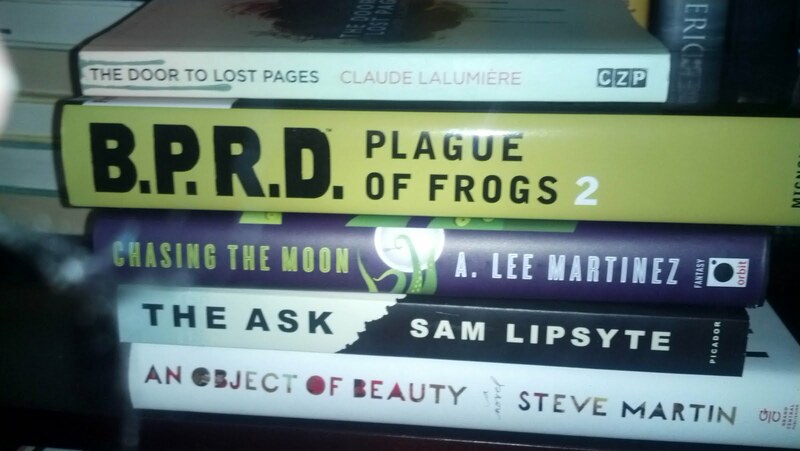 First up are the review copies. Lightbringer by K.D. McEntire is part of Pyr's launch of YA titles and a debut to boot. It definitely looks interesting, but Planeswalker by Ian McDonald is the one that has got me the most excited. Hearts of Smoke and Steam is the second in Andrew P. Mayer's Steampunk series, I really must get to. The Shakespeare Thefts by Eric Rasmussen is a non-fiction investigation into the search for the lost first folios. The Book of Cthulhu is Night Shade's latest reprint anthology. Lastly, is Blackdog by K.V. Johansen, which has been garnering all good reviews. Adding to my purchase stacks are again more finds from Borders. The Door to Lost Pages by Claude Lalumiere is as meta-fictional as you can get. I've actually already read it as I was in search for something very short to read this weekend. I just couldn't stop myself once I started. B.R.P.D. Plague of Frogs Vol. 2 is the second omnibus in the series, which I've had on pre-order for months. Chasing the Moon is Martinez's latest comic Fantasy. 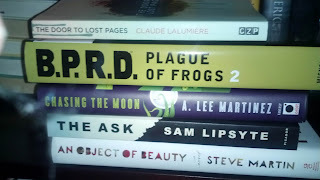 The Ask by Sam Lipsyte is one I saw on best-of list recently and when I saw it on the shelves decide to take a chance. I nabbed a HC cover of An Object of Beauty by Steve Martin to fill-in a hole my wife said was missing from our collection. Thanks for the link on Blackdog. 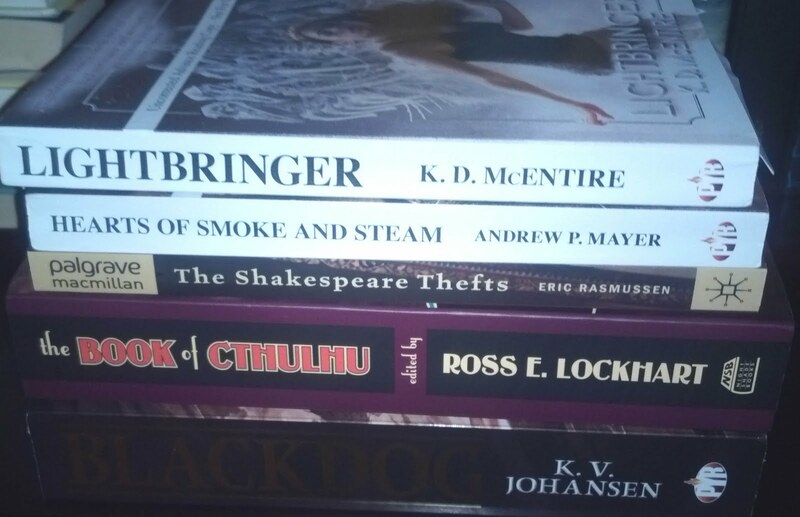 I picked up a few books this weekend from Borders firesale with your name on the back. 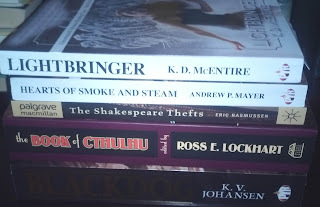 Also working through that Cthulu anthology very slowly. One of these days. Takes me forever to finish anthologies. A story a week at best in between novels.